Is screen-to-body ratio important for you when choosing a phone? When smartphones had smaller displays, the screen-to-phone-size ratio didn't matter that much, as you could still reach everywhere on the panel and around the phone in a fairly comfortable manner. Well, that time has long gone, and even on the best compact smartphones you might have issues reaching the top left quadrant of the display with your thumb only during one-handed operation. Not only this, but phones in themselves are also getting huge and heavy, leaving an impact not just in our wallets, but also in our pant or shirt pockets and purses, with some phablets straight-out uncomfortable to sit with, or even carry around due to their sheer length and width dimensions. Some phone makers, however, have taken notice, and tried to trim the side bezels as much as possible, fitting 5.5" displays in bodies suitable for 5.2" phones, or 5-inchers in a 4.7"-style chassis, for instance. The undisputed king here is Sharp, whose EDGEST design gets rid of the top bezel almost completely, with the 5.4" Sharp SH-04F reaching the whopping 81% screen-to-body ratio, meaning that the phone is almost as big as a regular 5-incher. Some other major manufacturers, like LG with the G3, or not so major ones, like IUNI with the U3, are also trying to trim their flagships from all sides with great success. That is why we wanted to ask you about the level of importance you place on the screen-to-body ratio when choosing a phone. Take your pick in the poll below, and explain to us in the comments. I want bezel as small as that on LG G2. Nothing more and nothing less! well the G3's front design was awesome!!! it looked unique until now even! I want a bigger battery. Increase the bezel if that's what it takes. I want to use my device one handed. I can with the Nexus 5 but it'd be great if the bottom bezel slimmed down a bit. My thumbs aren't getting any longer. Bezels have function too! They protect the phone screen from accidental touches and falls. Aside from the iPhone 6 Plus are there any other phones (None Apple) that you approve of? I agree, that bar cuts into the screen size. Plus the HTC logo is on the back of the phone. It was stupid to put it on the front as well. Oh you didn't say useless piece of space in comparison with iBendy Plus. Why IS your icon the Android logo? The iPhone 6 Plus is beautiful, but it is designed poorly and has a horrible UI. if you dont want a bezel just get a piece of glass. there needs to be some bezel i do agree that in this day and age we should not have such thick bezels that most phones have. Smaller Bezels .. always welcome !! However they should not compromise on usability (accidental touch or etc.) 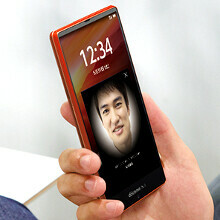 .. Z3 is good (best design overall imo) .. they just need to slice down the top and bottom bezel a bit !! Can't wait for the day when the phone will be all touchscreen. I want slim bezels, not non-existent ones. You still need space to handle the device. My top dog for this is the 2013 Moto X. Nice, trim bezels in a compact body that felt great to hold. Ridiculously small bezels just for the sake of saying you have the smallest falls into the same category as ridiculously thin devices or ridiculously large displays to me. A cheap selling point that diminishes overall usability for a marketing gimmick. the keyword is ergonomics. try using the sharp aquos and realize that the almost lack of bezels does not really do you a favor. Ergonomics are way more important. This is like arguing the outside of a car when you will really only enjoy it depending on the seats, control layouts, options, and performance. It looks nice on the lot(or in this case, at the carrier) and pulls your interest by the looks of the bezel/screen, but if the battery life, control layout, performance over time and tools don't hold up- that nice looking *insert name of phone here* will mean nothing sitting in your drawer as you have to shop for something better. I am pretty sure I won't get what I want on a phone with no bezel at this point. I am bored of certain colors, but so long as it is not dog ugly I am in on a good balance.